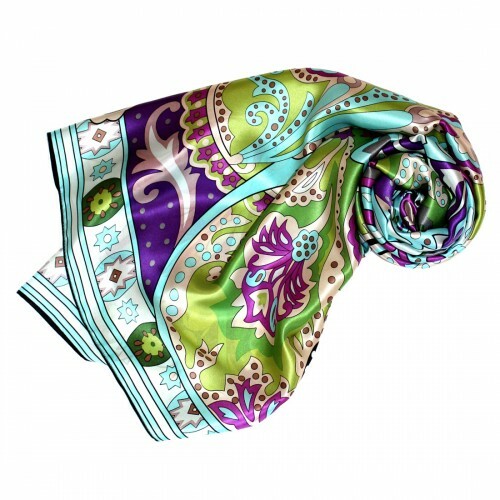 This elegant women's pashmina made from 100% silk attracts attention magically with rich, harminious colors and a unique floral pattern. The ornate design is lavishly manufactured in the traditional Jamawar-technique. The high-qualtiy fabric guarentees longevity, feels very pleasant to the touch and is well tolerated by even the most sensitve skins. This exclusive LORENZO CANA women's pashmina scarf is a true celebration for the senses. 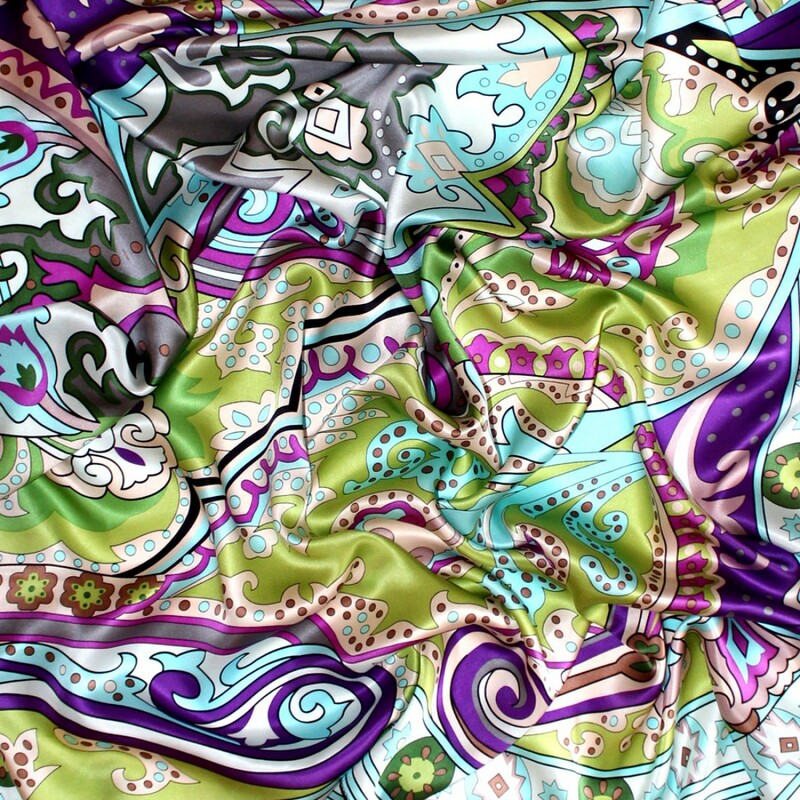 The orante patterns of these LORENZO CANA silk satin shawls are elegant and highly fashionable. 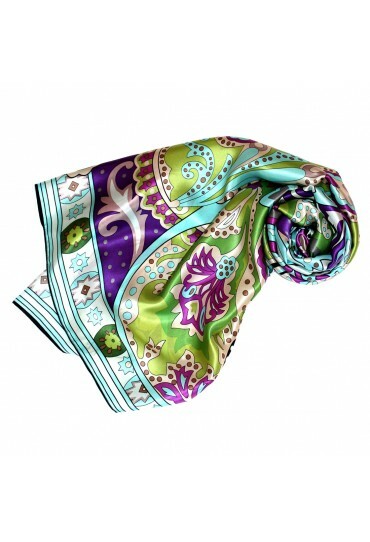 Treat yourself to a piece of luxury and enter the charming and magical world of silk pashminas. Our shawls will develop their sheen and fascination especially during the summer season and will complement your wardrobe with colorful elegance. 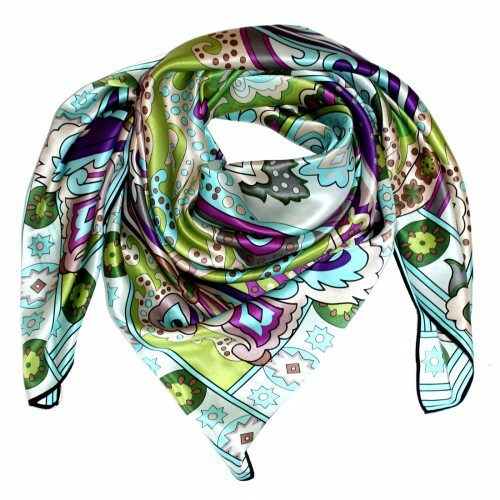 Every scarf is a unique item and may feature slight variations in pattern and color.